One page a week for the year! I found this deck for .20 cents- great! but I was not paying attention....see it? oh well, I changed my plan. I decided to make a shadow box. I will use them in junk journals or something. I used a utility knife to make a window. I loved the little Teddy with a bowtie ! I printed 2 so I could make the 3D effect. One was cut and left as is. Use tacky glue to attach to the back inside of box. and the arm holding the heart. I used scissors to trim my Valentine to fit the box. I found these raffle tickets at Dollar Tree in the party section. I used a gold ink marker along the cut edge. Tucked a ticket tag at top. Added a pinch of moss and some mini silk leaves. to attach the 3-D arm pieces. I used tacky glue to add the second fence piece. I added a couple cards to the back side. Tucked them under the twine. I hope you liked this sweet Teddy Bear Valentine. Aww that is so cute! 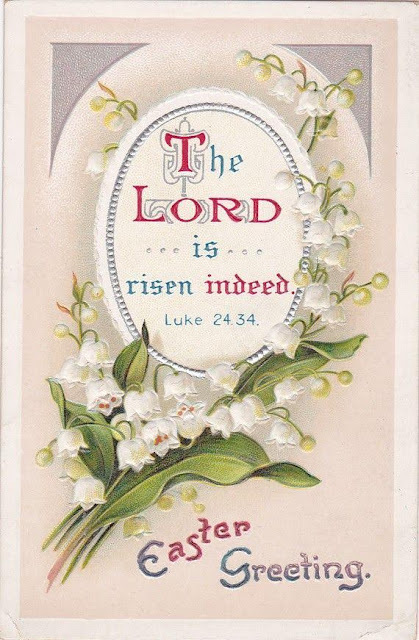 I love the cards tucked in the back! Oh my! That is the CUTEST idea! I wish I had a card box but I'll get one at the thrift store next time I go! I would love to make one of these! Connie sent me over...and I'm so glad I came! Hugs! would also work great. I'm glad you came too! This is so cute . 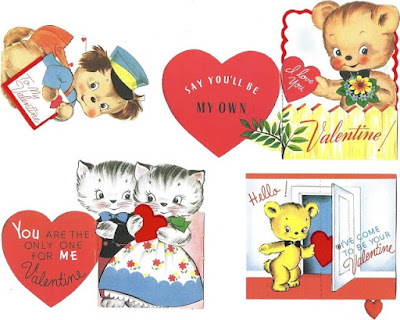 . . and I love, love, love vintage children's valentine cards :) They take me back to my childhood days. What a great Valentine project! Pinning. Aww Thanks! and thanks for the pin! Adorable! You are so very clever and creative! Thank you for sharing at Celebrate It! This is just so adorable - I am definitely going to try my hand at making one. Thanks so much for sharing this cute, fun project. So cute, Lisa! Thanks for sharing at Vintage Charm! Thank you and thank you for hosting! Thanks so much! So nice to have you visit. OMG, this is so adorable. You come up with the best ideas. I have a couple of card boxes. Thanks for the inspiration. As usual your sweet comment has made my day. I'm glad I inspired you, let me know how it turns out. How cute is this!?! Thank you for sharing at Over the Moon. Oh how cute!! This is just adorable. I'm so happy you shared it at Thursday Favorite Things. Pinning! Just wanted to let you know I featured this wonderful shadowbox at Thursday Favorite Things today. Thanks for sharing! You always make the most adorable things. I love this. Please stop by Thursday Favorite Things since you are being featured. What a sweet, fun and clever idea! Love your creativity! Thanks for sharing with us at Merry Monday. Hope to see ya next week. What a great save! That is totally the kind of thing I would do, buy cards without paying proper attention, so excited to have found bicycle cards! This is a lovely gift idea, so sweet. Thank you so much! I have to laugh at myself sometimes.